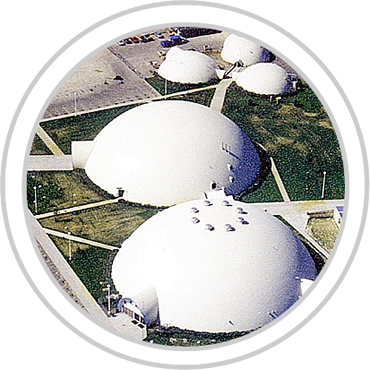 Food & Water Domes will feed 58,000 people annually on less than 1 acre of land. Cure4Hunger claims to have invented the world’s first truly effective cure for global hunger by integrating 7 technologies into Food & Water Domes, each capable of feeding 58,000 people in famine regions annually – all without charge. Each location utilizes robotic farming ‘Gravity Gardens’ automated systems, growing more per square foot than at any time in recorded history. In addition each farm harvests up to 5,000 gallons per day of fresh pure drinking water provided by Atmospheric Water Generators powered by an integrated combination of Solar Panels and Wind Turbines. Cure4Hunger’s 30,000 square foot disaster proof domes are equipped with up to 2,400 Gravity Gardens equal to 2,500 acres of 100% organic farmland along with additional domes for Fish Breeding. Cure4Hunger is chartered to build 15,000 Food and Water Domes over the next decade, in more than 150 countries, at a cost of less than $10M per dome, providing abundant food continuously to all those in need. 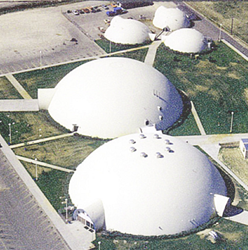 All 10 locations on 4 continents are designed to be available for regional food buyers to visit and observe, allowing them to replicate the inaugural domes or to custom design crop domes owned and managed by Cure4Hunger with 90% of all profits from food buyers’ contracts going directly into building twin domes in targeted famine regions. Cure4Hunger claims to be the only company in the world that can guarantee a 20% savings based on average costs for the last 3-years on more than 1,000 fruits and vegetables grown in their Gravity Gardens. This guarantee applies to any regional, national or global food company and provides price protection under contract for a term of 10-years. Their unique combination of technologies will enable Cure4Hunger to sustain ample [undisclosed] margins which will be applied to building twin domes in famine regions that will give 100% of their food and water to those in need at no charge. Cure4Hunger will continue year after year adding to each location additional domes for schools and health clinics with 90% of all Cure4Hunger profits going toward ending global hunger by 2025. Cure4Hunger is currently in talks with a global fast food company to construct 600 Lettuce Domes adjacent to or as near as possible to the company’s distribution centers worldwide. Each dome harvests 14 million heads of lettuce annually [706,000 every 18 days]. While eliminating most transportation costs and thousands of miles of exposure in transit, their lettuce will now thrive from germination to packaging entirely under the watchful eyes of video cameras ensuring that all crops are safe and secure. “The key is the next step in the business cycle” says Co-Founder & CEO, Cylk Cozart “Cure4Hunger’s 90/10 Pledge ensures 90% of all profits go into building 600 additional Food & Water Domes in famine regions where 100% of all food is given at no charge to people in need.” The 600 additional Domes will feature participating food companies’ logos for the life of the relationship. This equates to a 360⁰ Billboard on the ground with splendid aerial views. 3.5 billion of our global neighbors make less than $2.50 per day and 870 million live in famine regions where few and meager crops grow on inadequate soil and often under drought conditions. 870 million souls divided by 58,000 served per dome equals 15,000 domes needed to implement the Cure4Hunger.